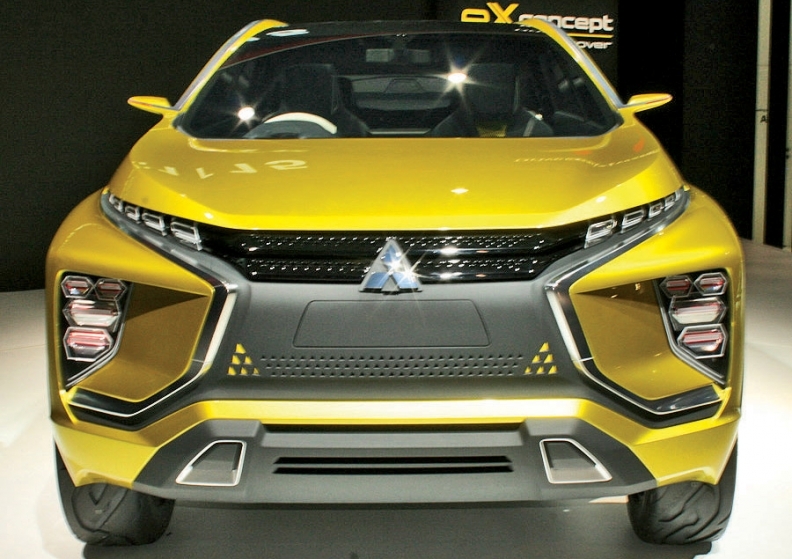 Mitsubishi's eX Concept shown in Tokyo may provide styling cues for the upcoming vehicle. TOKYO -- Mitsubishi Motors Corp., aiming to continue its double-digit sales growth in the U.S., plans to add a five-seat small crossover/SUV to its lineup. The offering will slot between the midsize Outlander and compact Outlander Sport crossovers, Mitsubishi CEO Osamu Masuko said in an interview ahead of the Tokyo Motor Show. The new entry will begin production in autumn 2017, with the U.S. and Europe as its main markets, he said. The vehicle may pick up styling cues from the eX Concept cross-over shown at the Tokyo Motor Show. It will be smaller than the Mazda CX-5 and will compete against the Hyundai Tucson and Kia Sportage, among others. The addition would answer a standing plea from the brand's U.S. dealers for fresh product to expand Mitsubishi's five-nameplate lineup of three cars and two crossovers. It also would play to Mitsubishi's strengths in crossovers and SUVs. The Japanese automaker is positioning crossovers, which account for 56 percent of its U.S. volume, as a pillar of its revival plan. Mitsubishi's U.S. sales climbed 26 percent through September from a year earlier to 73,257 vehicles, thanks largely to booming crossover demand. Total U.S. light-truck sales rose 12 percent through September in a market up 5 percent, accounting for 56 percent of the industry's total volume. "We are putting emphasis on SUVs," Masuko said. "The SUV market is growing, and we're enjoying good business at the moment." 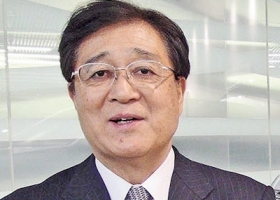 Masuko said he expects Mitsubishi's U.S. sales to post another double-digit increase next year. Sales will be fueled by the midyear arrival of the Outlander PHEV plug-in hybrid. Mitsubishi expects to sell as many as 6,000 of the gasoline-electric crossovers in the U.S. in 2016, Masuko said. In the U.S., the new crossover/SUV will be offered with traditional gasoline and plug-in hybrid drivetrains, he added. In other markets, a diesel variant also will be available. "The Outlander is growing in size, while the Outlander Sport is getting smaller, so it opens a space for the new SUV," Masuko said. "We need something to fit in between." The new crossover/SUV and next year's arrival of the Outlander PHEV are further proof that Mitsubishi has no plan to exit the U.S., despite the fact it will end vehicle production at its only North America assembly plant in November, Masuko said. "The U.S. is a big market, and of course we're going to be continuing sales there," Masuko said. In July, Mitsubishi said it will stop manufacturing vehicles at its Normal, Ill., factory as part of global realignment to concentrate production in Japan, Russia and Southeast Asia. Mitsubishi wants to sell the factory, but will shutter it if no buyer can be found. Masuko said the search for a buyer is still on. "We still don't have a promising buyer yet, but we haven't given up," he said. He added that, after halting vehicle output, Mitsubishi expects to keep the plant open for several months making replacement parts.